I am tempted to call these coming months "the summer I wore nothing but dresses". But in my defense, dresses are sooo much easier to wear while pregnant though I wore my maternity jeans this week and they are slowly growing on me. I purchased this cold shoulder dress a month or two before summer but knew it would be something I would wear all the time. So far I have worn it with sneakers, sandals and on this particular day that we shot these photos, some kitten heels. If there is ever a season to seek out bargains on items, it's summer. I'm more comfortable investing in my winter wardrobe then my summer one so I love cute dresses that don't break the bank. And truth be told, I still have some dresses I purchased a few years ago at a great deal that I am still wearing (remember this Asos number, this Zara shirt dress and this colorful piece). 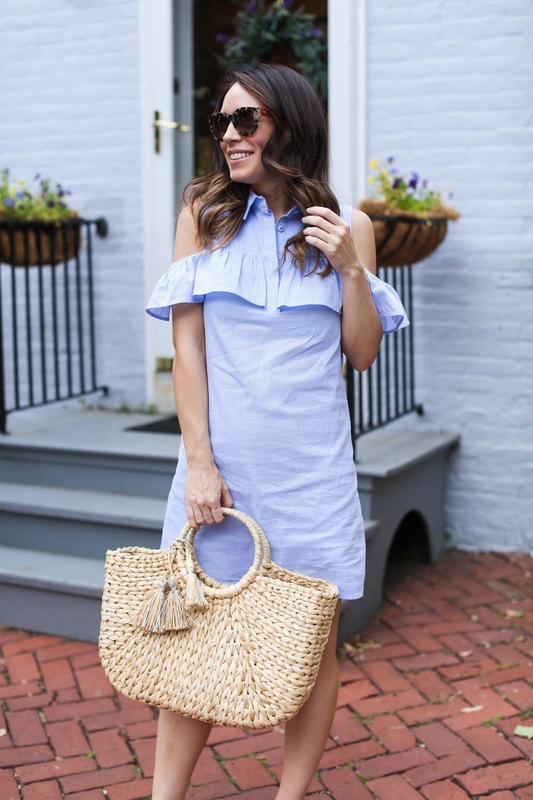 Scroll through the widget below for 20 more options of summer dresses all under $50!